STORY MISSION MENU Events & Catering INFO ORDER ONLINE! TRUE STORY: BOBA SAVED PAUL'S LIFE. BOBA BOYZ started with Paul, one of our partners, who loves boba so much that he could drink 4 cups in a day. One day, Paul felt very ill while drinking boba. He immediately went to the doctor for a check-up and discovered he had cancer. Luckily, the doctors were able to remove the cancer in time and he realized he wouldn't have gone to the doctor without drinking boba, so BOBA SAVED HIS LIFE. Paul’s experience inspired him to create BOBA BOYZ with his friends and share his love for life and boba. 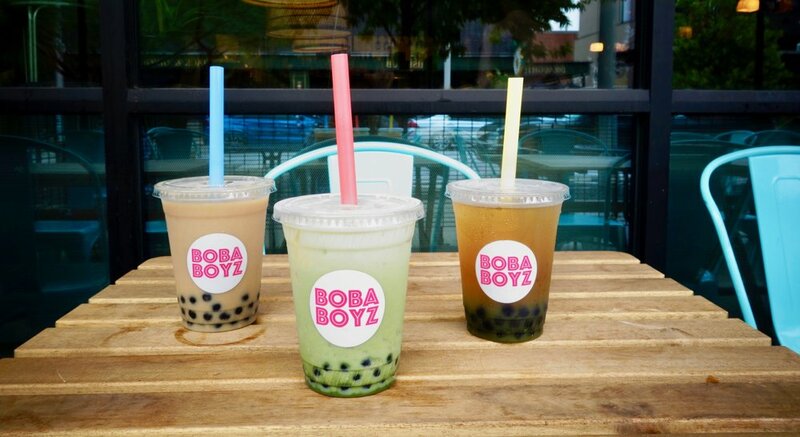 At BOBA BOYZ, we believe everyone should drink boba made with natural ingredients because it’s delicious, better for you and could possibly save your life.